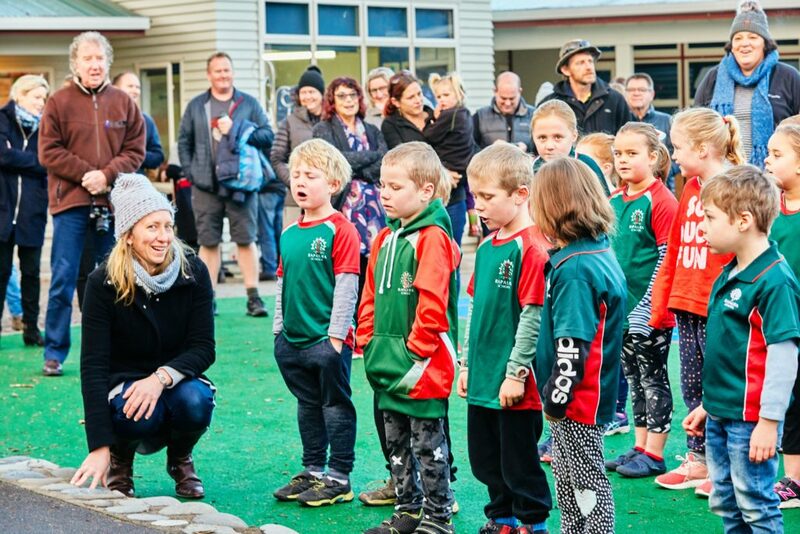 Thursday 21 of June, 8am, we celebrated Matariki and the opening of our new learning space. 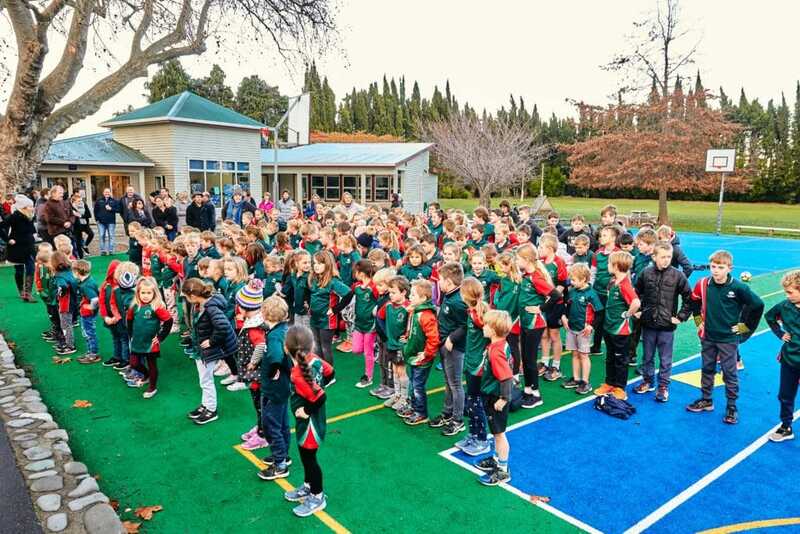 We chose Matariki as the time to open our new building as Matariki’s meaning is all about looking forward to new beginnings, new learning and the new year. We formally opened the space with speeches from Ben McLauchlan, Board Chair and myself. 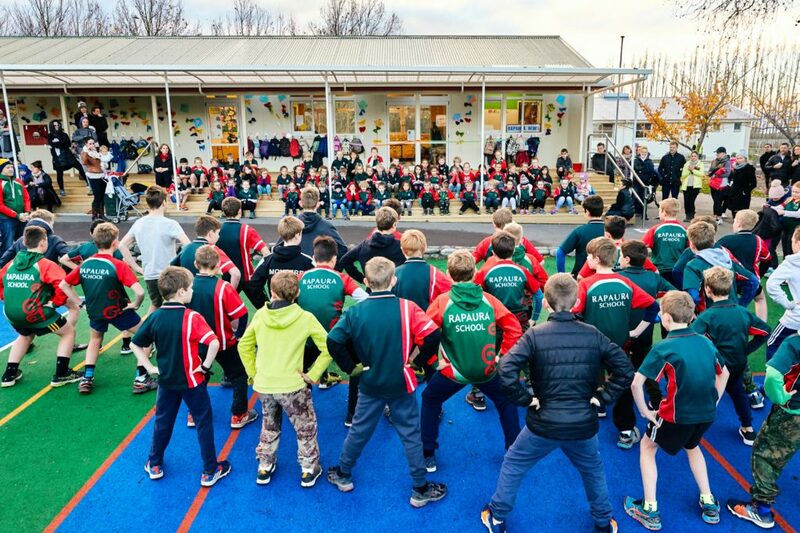 The students sang National Anthem, Rapaura School waiata and the senior boys finished with haka. 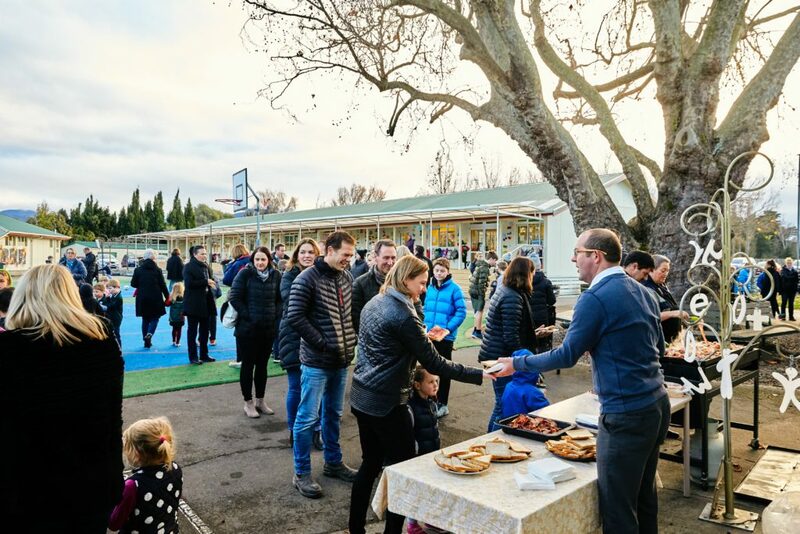 Will S, Prime Minister for Term 2, and Finn M, youngest student, cut the ribbon to allow us all to walk through and enjoy the spaces, colours, lines and furniture which caters for all our tamarki’s social, emotional and physical needs to be the best learners possible. Kai was shared following Codi R leading a Matariki karakia. 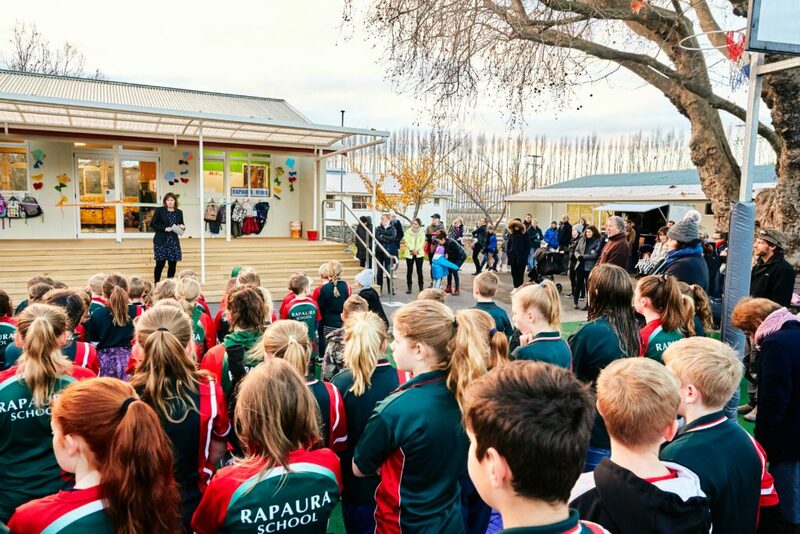 Students, staff and whanau came together to celebrate the new learning and building at Rapaura School. 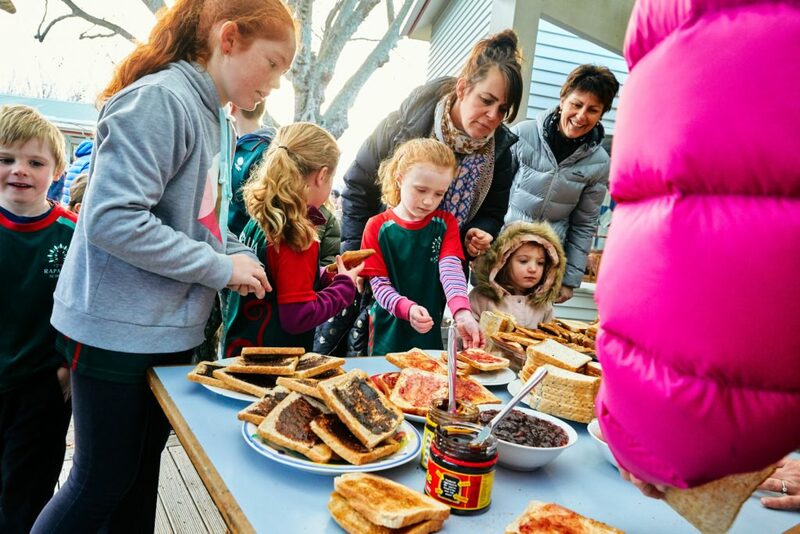 Another successful Rapaura School event! Thanks to the school and wider community for your support. 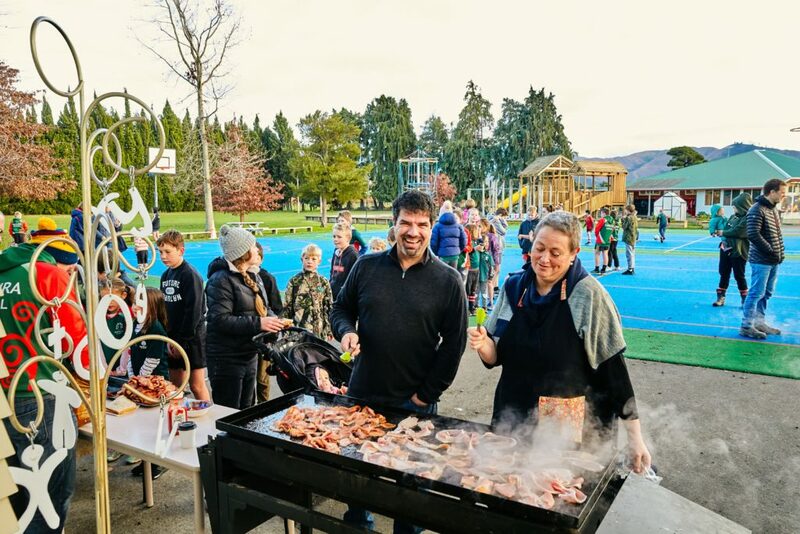 Ms Weaver and a kind parent, Mark, cooking up a feast. 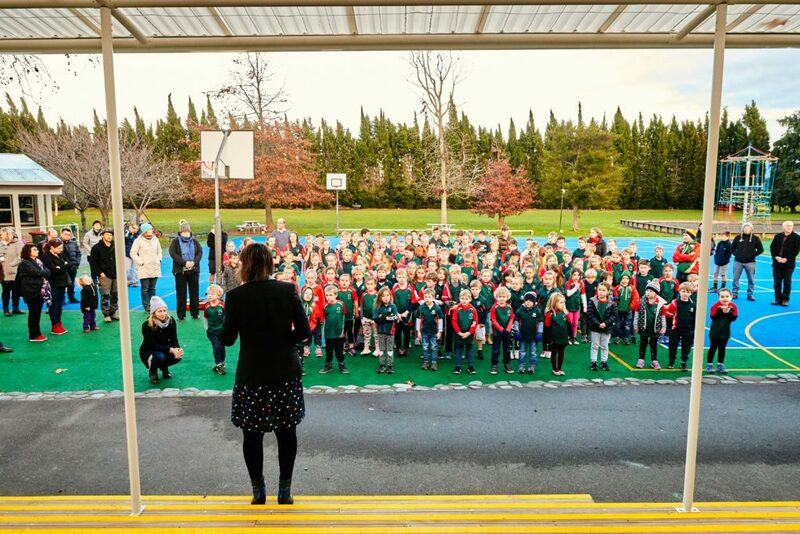 Tamariki ready to start school waiata. Keegan I love the hands in the pockets, the eyes closed as you sing to your hearts content.